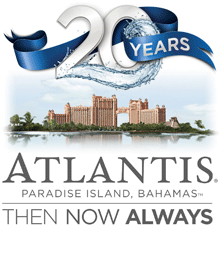 Twenty years ago this year the Bahamian economy received a massive boost with the launch of the Atlantis megaresort–a unique, ocean-themed destination located on Paradise Island that features a 141-acre waterscape comprised of lagoons, pools, water rides and the largest open-air marine habitat in the world. 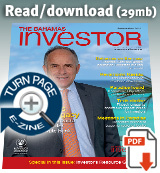 In May 1994, the signing of a Heads of Agreement for the sale of Resorts International’s Paradise Island hotel to South African Sir Sol Kerzner’s Sun International signalled the renaissance of the Bahamian tourism product. Yesterday, the resort kicked off its year-long 20th anniversary celebrations with a massive pep rally attended by hundreds of exuberant employees. Over the next 12 months, Atlantis will host numerous employee, community and guest festivities to mark its special platinum anniversary, including additional employee benefits, community beautification projects, unique dining experiences and special offers, amongst other initiatives. “We intend to party for the next year as we celebrate our first 20 years,” said Atlantis president and managing director George Markantonis, who spoke to the media from the sidelines of the event. Over two decades, Atlantis has transformed Paradise Island and by extension The Bahamas into a preeminent travel destination. Since its 1994 opening, more than 50,000 Bahamians have been directly or indirectly employed by Atlantis, according to the resort’s estimates. Since opening, Atlantis says its hosted more than 15 million visitors and has donated around $27 million to the local community. “Every job we have here creates another 1.5 jobs somewhere else in The Bahamas and we are very proud of that record,” said Markantonis. During the event, well-wishes came from Sir Sol Kerzner and Andrea Balkan, managing partner of Brookfield Real Estate Finance Fund. The Canadian conglomerate, Brookfield Asset Management took ownership of Atlantis in 2012. There were also video messages from employees from across the hotel spectrum, who shared why they loved working for the resort. The lively ceremony was punctuated by giveaways ranging from $100 to a free stay for two at the resort. There was also a fierce contested, but friendly competition between Atlantis’ towers: Coral and Beach Towers; Royal Towers; and The Cove and Reef. Each tower competed to best depict the 20th anniversary’s theme. Royal Tower’s junkanoo rush out stole the show and won the competition. As for business this year, Markantonis said that although it’s too early to say how the year is shaping up, it had enjoyed “a decent start” with the exception of May. “We are hoping for a very strong summer and a storm free fall,” he said. Prime Minister Perry Christie presented the 2014-2015 Budget Communication to Parliament yesterday. Read the Prime Minister's address here. Minister of Tourism Obie Wilchcombe says that the government has secured a new operator for the casino on Grand Bahama. Watch a ZNS Network news report here.